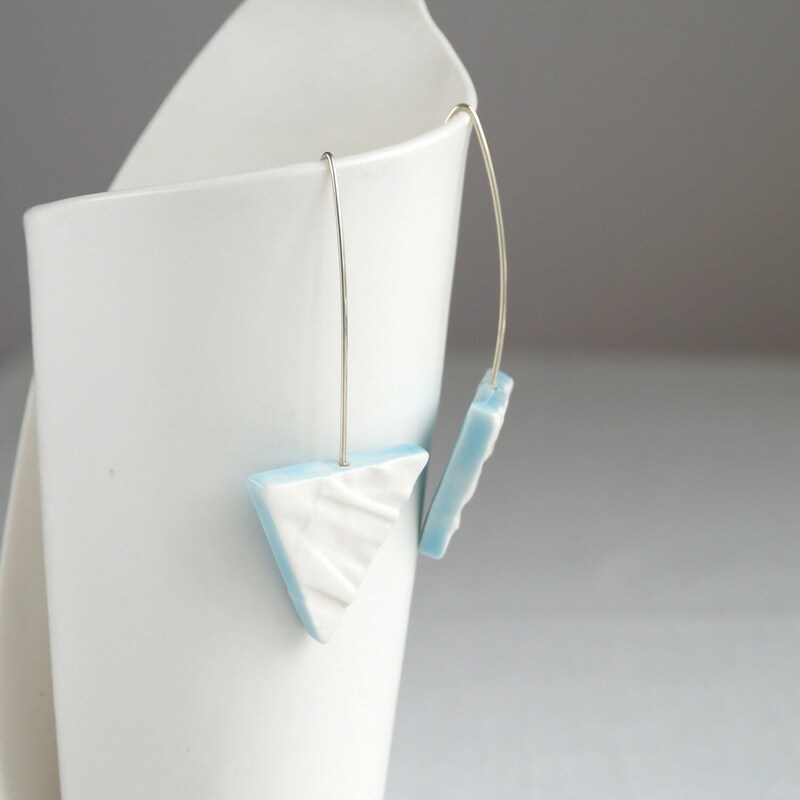 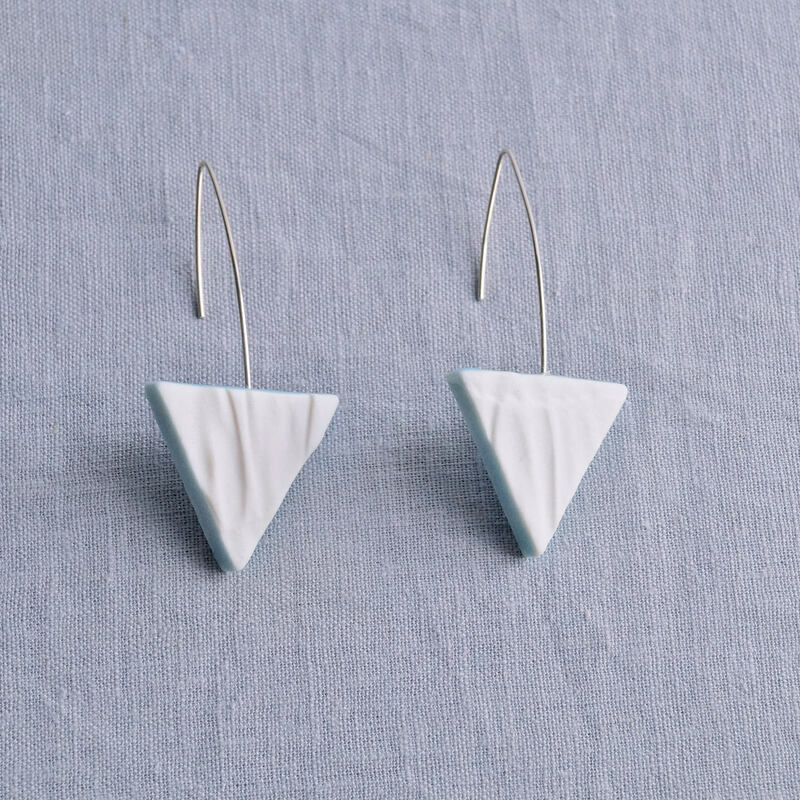 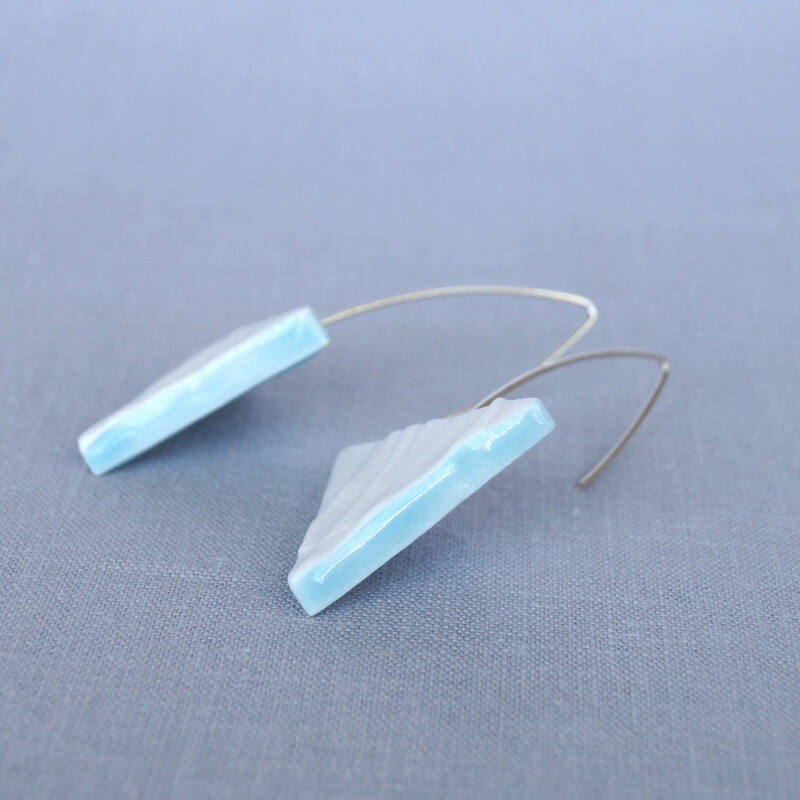 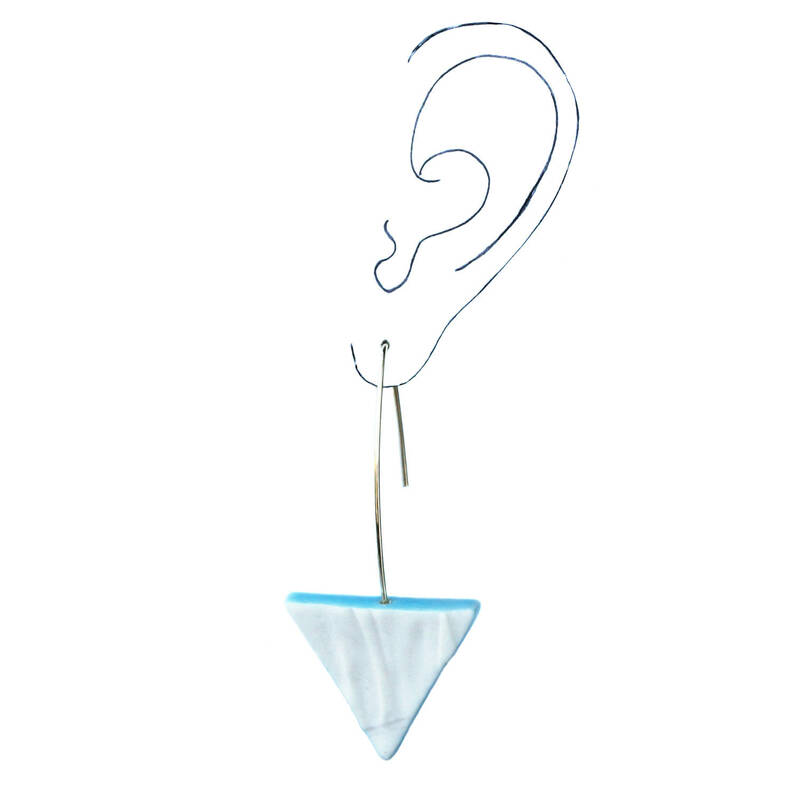 RUCHED No15 geometric triangle earrings in ceramic porcelain with sterling silver wires. 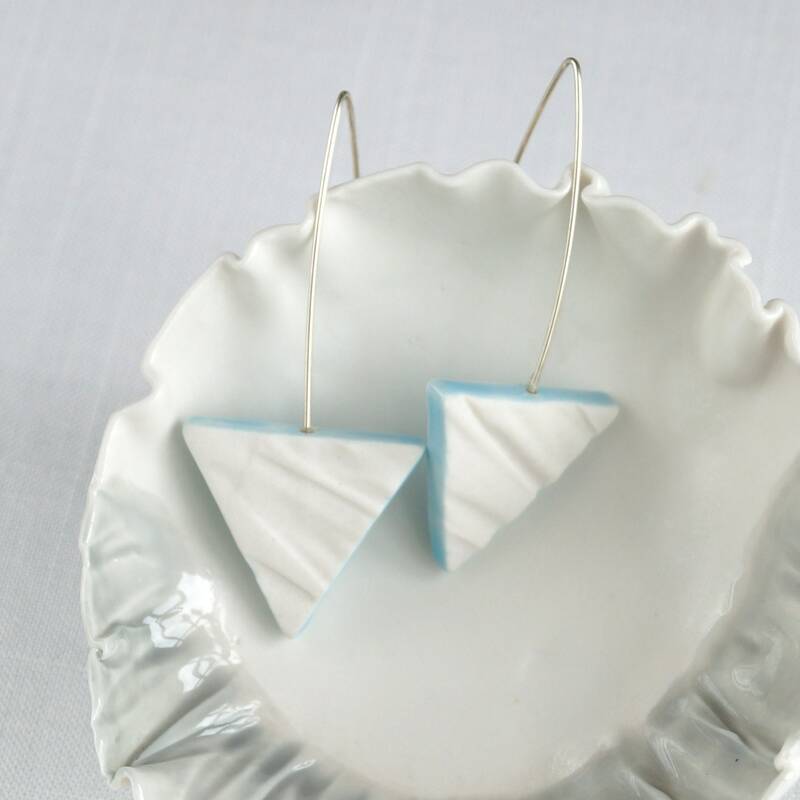 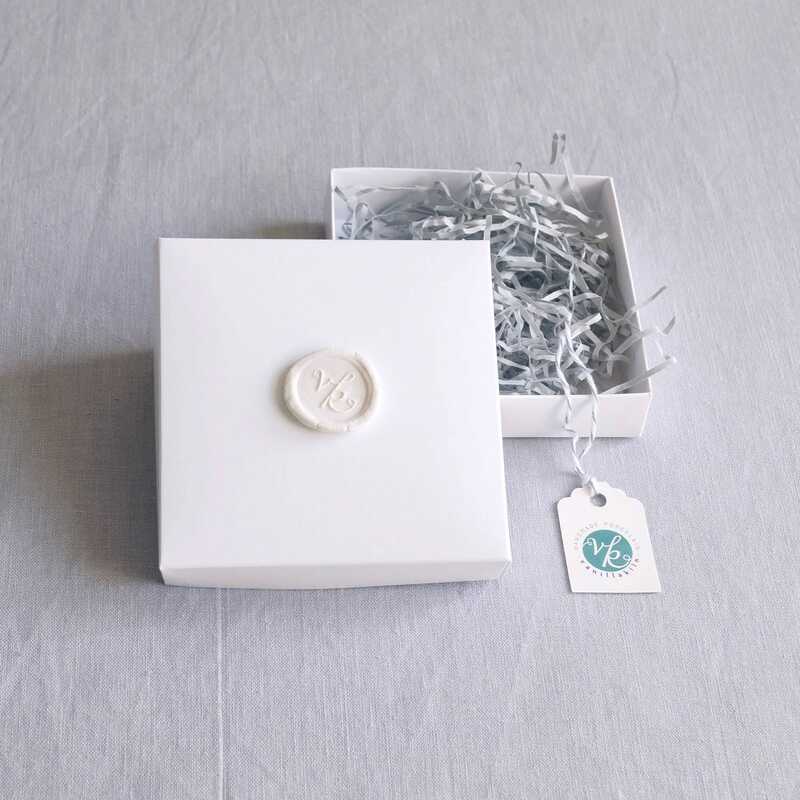 Hand crafted triangles in white porcelain clay. 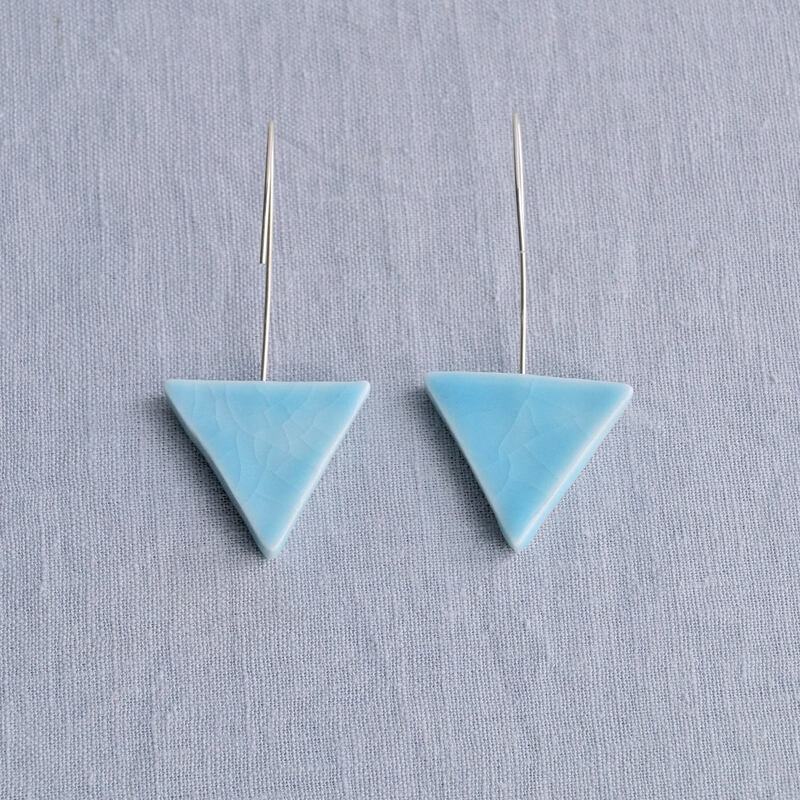 Shiny cerulean blue crackle glaze. 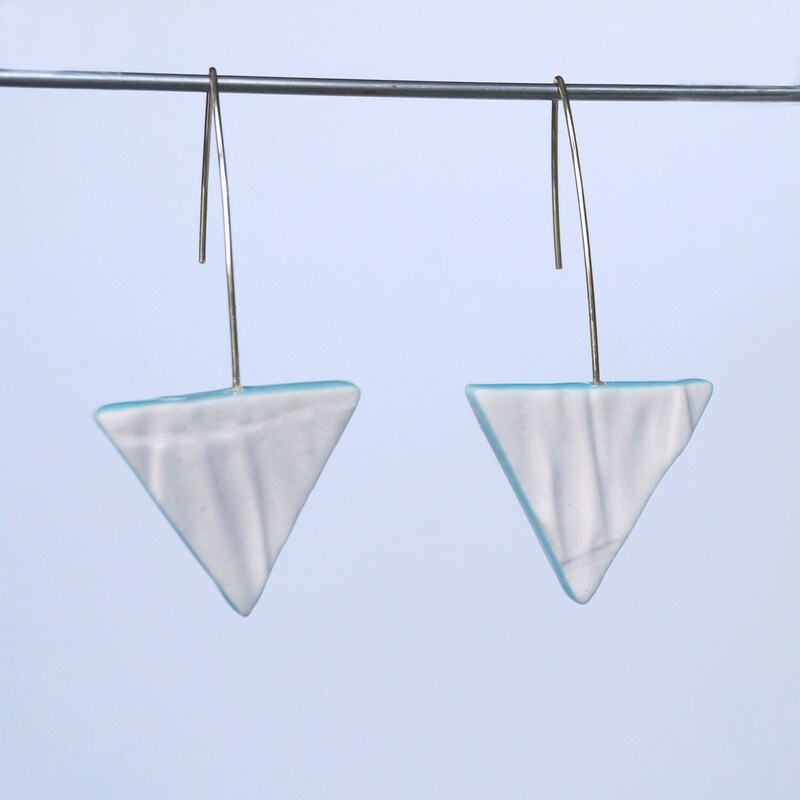 Porcelain triangles sides 34 mm approx.